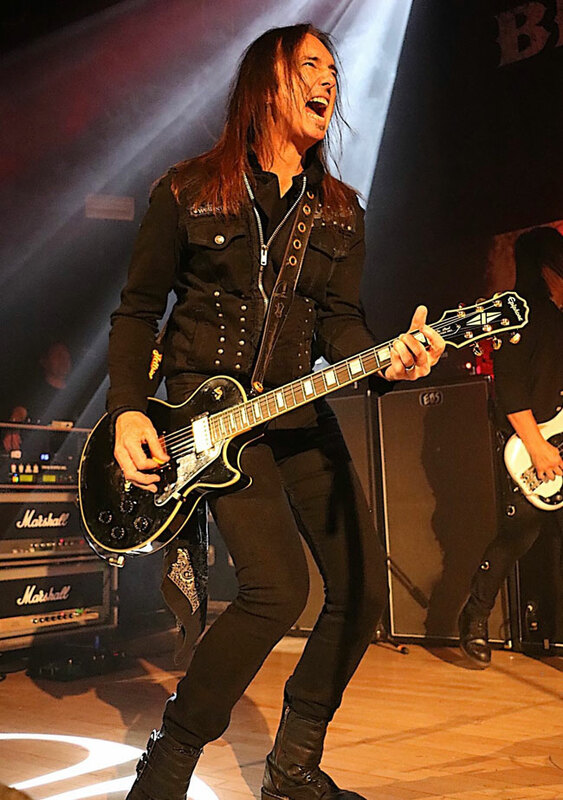 Damon Johnson, a veteran of some of the hardest rockin’ bands on the road today including Alice Cooper (“…he is an excellent golfer you know”), Thin Lizzy, and Black Star Riders, takes control of his own destiny and kicks off a new solo career. 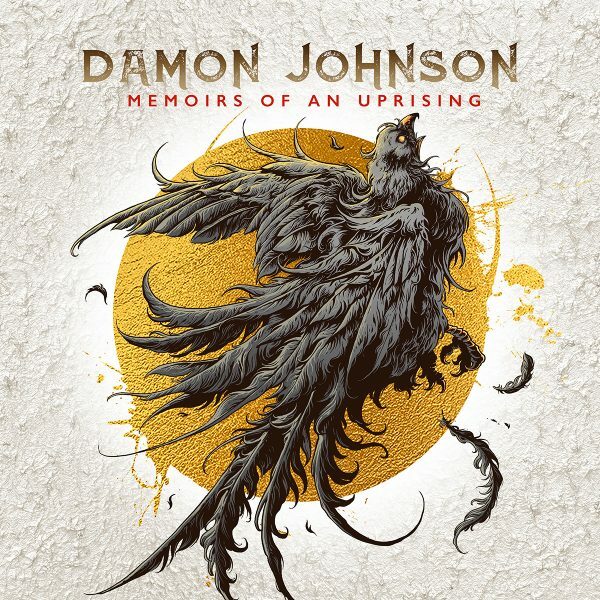 Damon’s debut studio album, Memoirs of an Uprising, is a tour de force of subtle arrangements, beautiful writing, and –brace yourself—only a few guitars solos. But fear not, the “razzle dazzle,” as Damon calls it, is not gone for good. The Alabama native makes his home in Nashville where he’s known as a model musician--a superb songwriter, singer, and guitarist--who can hang with legends and if need be, wake them from their ‘Rock star’ slumber. It’s great to see you, Damon. You’ve been on the road virtually non-stop since we spoke last year. And now you have a new album, Memoirs of an Uprising. What’s going on in your life right now? I’m at this place that I didn’t see myself as ever being in a year ago and that’s as a full time solo artist. When we last spoke, I had released a live album, Birmingham Tonight, with my band—guys that live here in Nashville. And the Black Star Riders were getting ready to release our third album Heavy Fire (2017). And for a better part of the time between now and then I was touring. It was during that run that I was working on a brand new solo album whenever I had some down time. And I guess it was a combination of how strong I felt about that record merged with how much I had been traveling--specifically out of the country. Something started to get into my thoughts. I started talking to my family about it and I felt like it was time to make that transition. People ask –‘So what’s the dirt?’ There isn’t any dirt. There wasn’t any drama. I love those guys in Black Star Riders. I’m so proud of the records that we made together. I felt like those songs will stand on their own forever. Because of the things I learned from being a part of that band, I think it fed into my desire to get back behind the microphone full time, which I hadn’t really done since the Brother Cane days. So, where we are: I just released the record officially. I couldn’t be more pleased with the response. We shot a great video. And all my band guys live here in town. It is a bit of throw-back in that I see the band on a regular basis. We’ll get together and go to a hockey game or they will come to the house for coffee. All of that is feeding my music and feeding my desire to write more. I’m probably playing more guitar throughout the day right now than I ever have. I’m in a good spot. Compare your life now –a bit looser and without a strict schedule—to the regiment of being on the Judas Priest tour with Black Star Riders. In other words, a big tour requires not only the headliner but the opening act to adhere to a hard time line. You can’t just throw a new song in the set list for kicks. As a solo act, I’m in the driver’s seat with all that. You know, the word “control” feels a little heavy because it’s not about anything more than wanting to play my music and let that dictate where the road takes me. I’ve had so many great experiences throughout my career touring. And I’ve really loved all of it. It’s hard to be away from my family. Now I have an opportunity to say-so about hope my schedule takes shape. You lose that ability when you’re in an established band. You have to wait at home for those emails to come. Then you open the email, you see the dates, and (snaps his fingers) that’s what you’re gonna do for the next year. I didn’t have a lot of say-so in that. So, it’s exciting and invigorating to be the boss of my calendar. Tell me about the new record, Memoirs of an Uprising. Memoirs of an Uprising started about a year and a half ago. I had a lot of lyrics that I was starting to compile. I wouldn’t call them songs yet. Is that how you usually work? It’s how I worked this time. 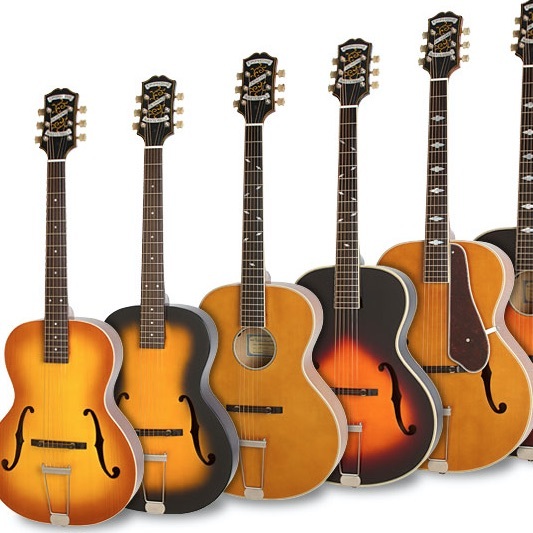 Typically, I sit with a guitar and come up with a melody and a chord progression—some kind of a vibe—some tempo ideas. For this time, I had things that were coming to me. I had been down some interesting listening paths lately. For instance, I went on a full-blown Joni Mitchell kick. I read a couple books about her. Her method and how she let the art of songwriting guide her path was very inspiring to me. I wish I had taken to that path sooner. I always loved Bob Dylan and Neil Young, who took similar paths. But…again it gets back to where I think I am in my life. I just had a lot of confidence in my writing from studying her and listening to her records. That’s what got the lyric thing going this time. How did you begin the process of making the album? So, I reached out to a longtime collaborator of mine, Jim “Johnny Blade” Troglen, who is an old friend from Alabama. I said, ‘Hey man, I got some stuff! Do you want to get your hands in this? And he goes: “Can we start tomorrow (laughs)? ” He was fired up right away. There were a couple of songs in the beginning that really made me believe that it was going to be a special record for me. The goal as a songwriter is to make the whole thing a body of work and make it to so your fans, the people who know about you and enjoy your music, can find something in those songs that they can relate to. One of the first songs we finished was called “Shivering, Shivering.” I knew it was special. That really set the pace for the rest of the record. I didn’t set out with ideas for riffs or tempos. At the end of this process, that’s when I realized there was a lot of diversity. It wasn’t just a one dimensional record. It felt like the records that I listen to by other artists. It had some of the peaks and valleys and dark and light—all of that. 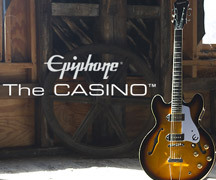 Tell me about the Epiphones you used on Memoirs of an Uprising. I have three and I love them all. They all sound different. My black (Les Paul) Custom was really how I got reacquainted with how great Epiphone is. And I’ve had that guitar now for almost three years. I played it on the Black Star Riders tour dates and on my new record-—a lot. I have an awesome Korina Flying-V that I’m missing because it’s in the Thin Lizzy storage locker in the UK which I’ll see at the end of July. I can’t wait to get my hands back on that. And I got a great new acquisition—that Mojave Fade Les Paul Standard Plus Top PRO I saw a photograph of it and I thought right away: I have to have that—whatever it takes. I get the sense that you made this album without concern for radio or other commercial considerations. That must have been liberating. When you’re in a band, you are often under pressure to create a look and a sound and an identity. That’s a great point. I’ve certainly had moments in my life where that had to be a consideration. And in 2019 it’s not a concern. Because there is no commercial path for someone like me as a rock guitar player who writes rock songs with a certain kind of energy with certain kinds of lyrics. I don’t even have to think about that or worry about that. All I want to say is hey, let’s just have a great time. Let’s write something that we can get excited about. That was the total barometer right there. That was the measuring stick. I had expectations of all kinds of things. For Memoirs of an Uprising, all I was thinking about were songs. And it was only when the album was being mixed that a friend of mine said: “These songs are great…but there are not a lot of guitar solos…” It never occurred to me. I spent five years with Alice Cooper, then I joined Thin Lizzy in 2011. At the time I thought, I’m playing these incredible timeless classics. And the audience wants to hear that replicated. Memoirs of an Uprising is a song record. I didn't feel the need to play a lot of solos. I’ll have more razzle dazzle on the next record, I promise (laughs)! But you know when you’re the artist, you want to go where the music takes you. As I said earlier, lately I’ve been playing so much guitar at home. I love it.